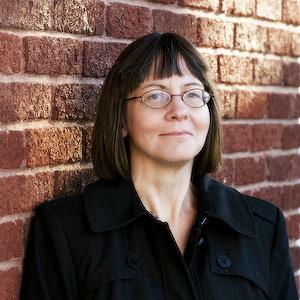 Please welcome author Susan Higginbotham to Passages to the Past today! 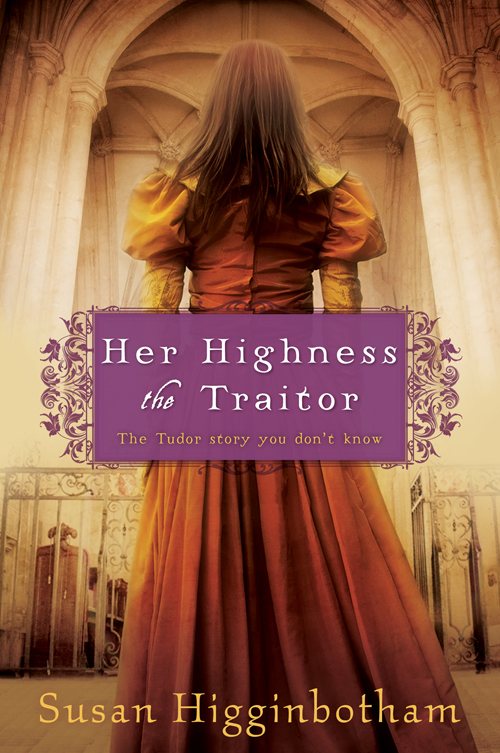 Susan is here with a guest post in honor of the release of her latest novel Her Highness, the Traitor. And thanks to Sourcebooks I also have one copy up for grabs! Several important scenes in Her Highness, the Traitor take place at the royal manor of Chelsea in Middlesex. Now a vital part of London, the area of Chelsea in Tudor England was still a country retreat. The neighborhood had two residences strongly associated with the Tudors: the royal manor and Thomas More’s house. It was the latter house, not the royal manor, where Jane Seymour was brought on May 14, 1536, to await her marriage to Henry VIII while Anne Boleyn in the Tower awaited her trial and execution. The manor of Chelsea did not come to the crown until July 14, 1536, when William, Lord Sandys, granted it and other land to the king in exchange for other property. Henry VIII is recorded as visiting his new acquisition only in May 1538. In May 1541, however, both Katherine Howard and her stepdaughter, the future Elizabeth I, went there by barge on several occasions. Henry did expend funds on the gardens at Chelsea, where cherry trees, red peach trees, damask roses, lavender, and rosemary were planted and tended. Katherine Parr is the queen most closely associated with Chelsea. She was granted the manor as part of her jointure in 1544 and moved there after Henry VIII’s death in 1547. The teenage Princess Elizabeth, known as the Lady Elizabeth, was living in the household of Katherine Parr and Thomas Seymour. It was while the household was at Chelsea that Thomas Seymour began indulging in sexually charged horseplay with Elizabeth: stealing into the princess’s chamber before she was up in the morning, striking her upon her back or buttocks, and pulling open her bed curtains and making as if he would come at her. To put a stop to this, Katherine Parr, now pregnant with Seymour’s child, finally sent the young Elizabeth to live elsewhere. 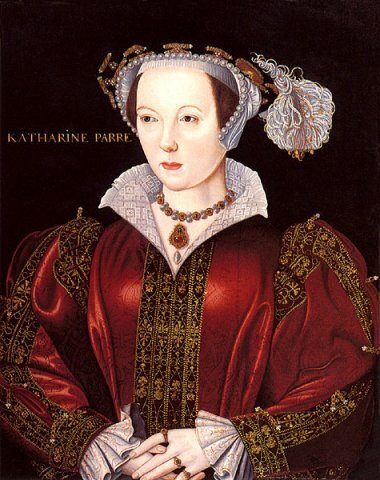 Tragically, Katherine Parr, having moved to Sudeley Castle to await her coming child, died of complications following childbirth. The royal manor of Chelsea returned to the crown. In May 1553, Northumberland’s son Guildford married Lady Jane Grey. According to Jane, after hearing the unwelcome news from the Duchess of Northumberland that Edward VI had named her his heir, Jane got permission to go to Chelsea, where she fell ill. (Jane, who had been Thomas Seymour’s ward during and after his marriage to Katherine Parr, had likely stayed at Chelsea during Katherine Parr’s tenancy there, though she seems to have been insulated from the goings-on involving Seymour, the queen, and the Lady Elizabeth.) It was at Chelsea that Jane was summoned by Northumberland’s daughter Mary Sidney to go to Sion, where she heard of the death of Edward VI and accepted the crown. Northumberland was executed on August 22, 1553, after Jane’s brief reign collapsed. 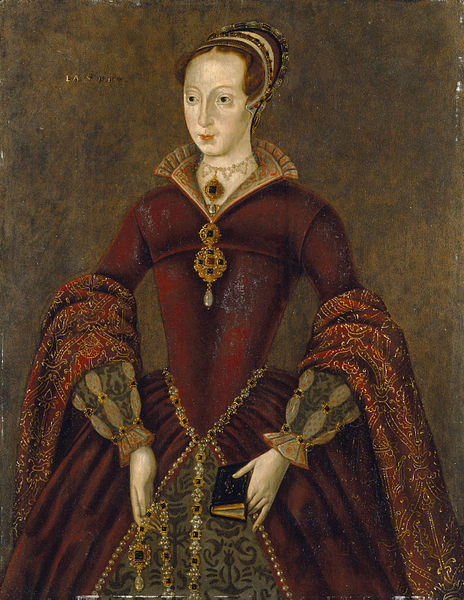 The new queen, Mary I, allowed Northumberland’s widow, Jane Dudley, to live at Chelsea. The Duchess of Northumberland died at Chelsea in January 1555 and was buried in nearby Chelsea Old Church. The church was damaged during the Blitz, but it, and Jane’s tomb, survived the bombardment. 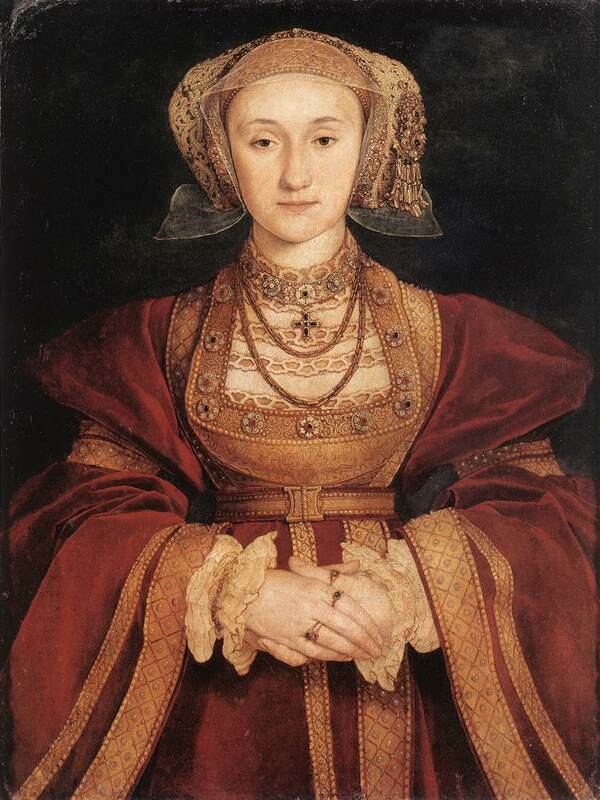 With the Duchess of Northumberland gone, Chelsea was free to receive another queenly tenant: Anne of Cleves, whose marriage to Henry VIII had been dissolved years before. Anne did not have long to enjoy Chelsea, for she died there on July 16, 1557, at about three in the morning. Her body was taken to Westminster for burial. Anne of Cleves was the last queen to reside at Chelsea, although Elizabeth I visited the manor after it passed into the hands of Charles Howard, Lord Howard of Effingham. The Tudor palace known to Henry VIII, his wives, and his children was demolished between 1759 and 1765 and its site covered by the houses and gardens of 19-26 Cheyne Walk. As Henry VIII draws his last breath, two very different women, Jane Dudley, Viscountess Lisle, and Frances Grey, Marchioness of Dorset, face the prospect of a boy king, Edward VI. For Jane Dudley, basking in the affection of her large family, the coming of a new king means another step upward for her ambitious, able husband, John. For Frances Grey, increasingly alienated from her husband and her brilliant but arrogant daughter Lady Jane, it means that she—and the Lady Jane—are one step closer to the throne of England. Then the young king falls deathly ill. Determined to keep England under Protestant rule, he concocts an audacious scheme that subverts his own father’s will. Suddenly, Jane Dudley and Frances Grey are reluctantly bound together in a common cause—one that will test their loyalties, their strength, and their faith, and that will change their lives beyond measure. - Giveaway ends on June 19th. Thanks to Susan Higginbotham for the fabulous guest post and to Sourcebooks for sponsoring the giveaway! Good luck to all! This sounds really interesting. I would love to see how the two work together, to get more power. I don't want to enter the giveaway. I just wanted to say thanks for the fascinating post! I love Susan Higginbotham's books and can't wait to read this one. I have read Alison Weir's Innocent Traitor. I felt sorry for Miss Grey. The only joy in her short life was her learning. I'm looking forward to downloading Susan Higginbotham's novel on my Kindle. I read and enjoyed the author's Traitor's Wife, and would love to read this novel. Thanks for the giveaway. Can you even imagine if those (now destroyed) walls could talk! I wonder if any of the royal and rich occupants still roam the land where the house once sat...it is so sad they destroyed it! I've heard really good things about this author. Would love to win this book. Thanks for the giveaway. I'm a follower. A fascinating history of Chelsea manor in Tudor times. Please enter my name for a chance to win a copy of Her Highness, the Traitor. This sounds like such a great premise. I love that the two women scheme and make a small but calculated impact on history. And I love reading about the history of places. It makes them seem so alive. I follow you on gfc and twitter. I posted the giveaway on my sidebar! Thank you for the very informative blog. What a world it was for those in the royal homes! I will gladly stay in my life! I just love Susan's work, so sign me up for the drawing, please! It doesn't sound like many of the residents of Chelsea enjoyed good health or long lives. I enjoyed one of Higginbotham's previous books, so I'm sure this will be a delight as well. I haven't read much about Jane Grey - I would love to learn more. Thanks for the giveaway! I love to read about this time period. #1 I joined the Passages to the Past FB Page. #2 I joined the Passages to the Past FB Page. #3 I joined the Passages to the Past FB Page. I would love to learn more about Lady Jane Grey. I know Susan is a good writer and would really like to win Her Highness the Traitor. Spreading the word on my blog sidebar! That was a great post by Susan Higginbotham--I had no idea about the history of the manor of Chelsea. Would love to enter. I'm a follower. I've loved all of Susan Higgenbotham's novels and I'm excited for this new one. I'm a follower- thanks for the giveaway! I would love to learn more about this time period. I'd love to win this. I'm a Facebook follower, too. Would love to win this interesting story. Enjoy learning about Lady Jane Grey. Thx 4 the chance!! Sounds delicious! I've been spending a lot of time in the Tudor court lately. Thanks for the giveaway! Oooooh, what a giveaway! Please enter me, plus I am already a follower of this blog! This sounds like a great read...I love all things Tudor-related! I've been seeing this book around the blog-o-sphere and it looks pretty good! I love when you have the author share stuff. Wow, seems like Chelsea did not have the best juju. Crazy. I'm an historical fiction junkie! Would love to read this book! I love historical fiction, I am sure I would love to win.